BICT Fest 2018 is proud to present a week long process of the recreation of ‘horses’ production. This is a collaboration between the Belgian dance company, kabinet k, and a group of professional Thai dancers and children. 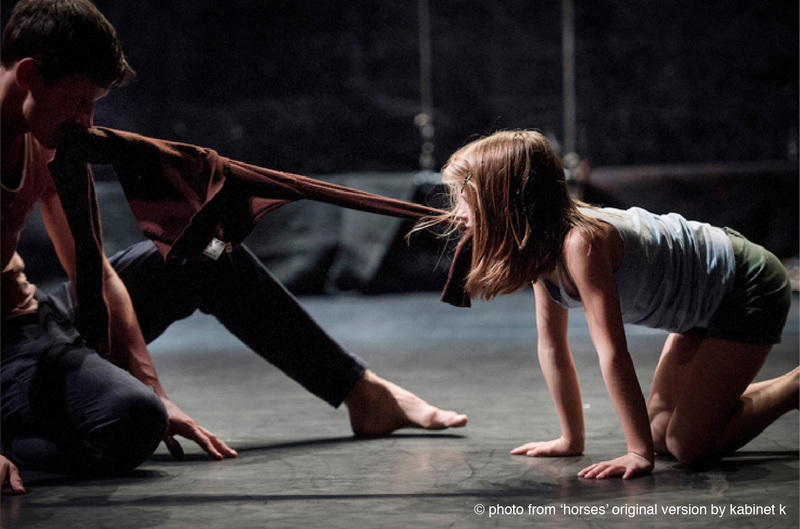 horses is a dance performance with an untamable energy, an encounter between 6 young children and 6 adults. Great and small share eagerness and bewilderment and above all, they trust each other unshakably. horses is about wanting to be a grown up and about wanting to remain a child, about power and vulnerability, about carrying and being carried. About the probing before surrender, the search for whom is pulling the strings, about finding the right cadence. *Festival opening night 19.00-21.00. This show will be a part of the event.